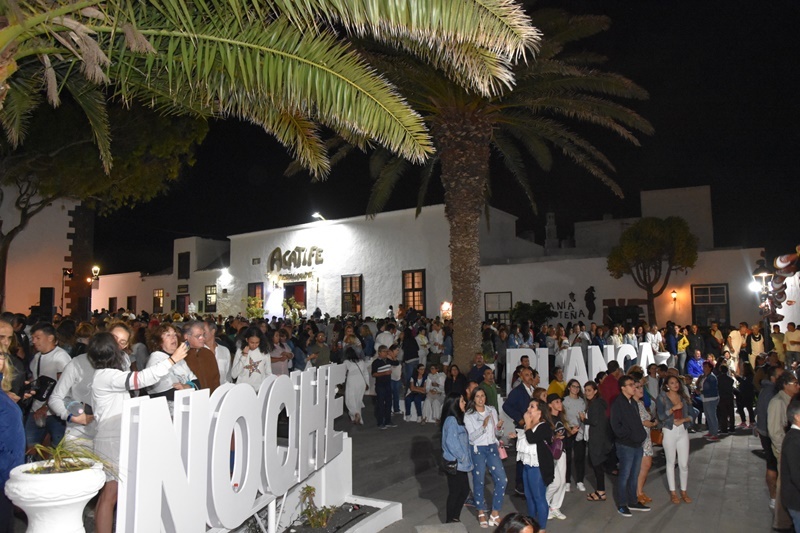 Thousands of people filled the streets of the historic center in the eighth edition of the White Night,which was held this Friday in La Villa de Teguise. A show at street level that for eight years organizes with great success the Town Hall of Teguise in its precious Historical Set of the Real Villa, which offers in each edition its patrimonial and architectonic wealth to the numerous visitors with the purpose of illuminating the culture in a unique setting in Lanzarote. The mayor of Teguise, Oswaldo Betancort, and the person in charge of Culture, Olivia Duque, accompanied by all his Government team, met in this new commitment of the City Council of Teguise for once again invigorating the Historic Site “with the best possible atmosphere and convinced that once again will reign civility, good atmosphere and respect for the environment, “Betancort said during the presentation of the program. In short, a night where culture, music, gastronomy and entertainment were the protagonists.